6/2/2018 DETROIT, Mich. [June 2, 2018] - Tony Buffomante captured a flag-to-flag victory in the 3-Dimensional Services Muscle Car Challenge at the Chevrolet Detroit Grand Prix presented by Lear, the first of two Trans Am Series presented by Pirelli races this weekend on Belle Isle. The victory stands as the 13th of Buffomante's TA2 career and a strong rebound from a disappointing outing last round at Homestead-Miami Speedway and earns him a touch of redemption after a frustrating third place finish last year at Belle Isle. "We haven't really been up to our standards yet all year," said Buffomante. "We have a new car and a new engine, and we typically don't start out that well. We don't do a ton of testing and usually come on in the second half of the year. I tried to do something I shouldn't have at Homestead to try and make up for a fifth place car, and it cost us: we finished ninth. I've been thinking about that for six weeks, and I've been thinking about this race for 12 months. This is a crown jewel event for Trans Am, and I couldn't be happier to bring it home for Mike Cope Racing and our partners. They've believed in me, and it's a great way to get some confidence back." Buffomante led the 18-car TA2 class field to the green flag but saw the field immediately fall under yellow to retrieve the No. 99 of Thomas Ellis stopped on the outside of turn four of the 2.35-mile course. Buffomante would take the restart several laps later but was once more hounded by Robinson and the No. 74, who had started in second position alongside Buffomante. "Gar was really strong in the short run and seemed to get more heat under his tires," said Buffomante. "He was all over me; he's a professional and a multi-time champion for a reason. My car took a little longer to come together, but we turned pretty similar lap times all the way through. It's Gar and Tony racing; it's not the first time and it's gone the other way plenty of times. We saw some lapped traffic at the end, and I wasn't too excited about that but had some breathing room and brought it home." "I was just trying to make something happen," said Robinson. "I'm not racing for the championship, and Tony and I were so close nothing was going to change without me trying something. It's amazing how we can run almost the exact same times through the whole race. I just tried to catch him- no one was going to make a mistake, and I wanted to try for the win." The second place finish is Matos' second consecutive in TA2 in Detroit, marking a full year since his Trans Am debut at the venue in 2017. The podium finish comes in the backyard of Rochester Hills based The 3-Dimensional Services Group, sponsor of both Matos' car and the event-the finish also aiding his pursuit of the 2018 TA2 championship. "It's a very important event for us and a very important finish," said Matos. "Second place- I keep saying, for us to finish the year with a championship we'll need to finish second, third, fourth and that's fine. Today we probably had a third place car and we got lucky-Gar made a mistake on the last lap. This is now two years in a row finishing second to these guys, very professional drivers and past champions; and I'm honored to be representing 3-Dimensional Services and hopefully we can keep maintaining our points lead." "We set up today looking for long runs," said Matos. "The yellow flags hampered us and took way too long and that really hurt our strategy. We'll work on the car today. It's not perfect; we had a bit of under steer. Hopefully we can fix the problem and be on the pace and fighting for the win tomorrow." Keith Prociuk, Buffomante's Mike Cope Racing teammate and driver of the No. 9 HP Tuners Chevrolet Camaro, would finish fourth to tie his Trans Am career best; while Jordan Bupp, in the No. 80 Bupp Motorsports Ford Mustang, completed the TA2 top five. Also featuring in the TA2 top ten were Ethan Wilson, Tom Sheehan, Shane Lewis, Anthony Honeywell and Steven Lustig. Trans Am will return to the circuit at the Chevrolet Detroit Grand Prix tomorrow, Sunday June 3, at 11:45 AM ET for the 3-Dimensional Services Motor City Dash, a 101.05-mile competition, with the starting order determined by fast lap from today's competition-giving Gar Robinson pole position via his track record 1:35.274 lap. Fans can keep up with the Trans Am Series presented by Pirelli action throughout the event at www.gotransam.com, on Facebook at www.facebook.com/gotransam and on Twitter at @gotransam. 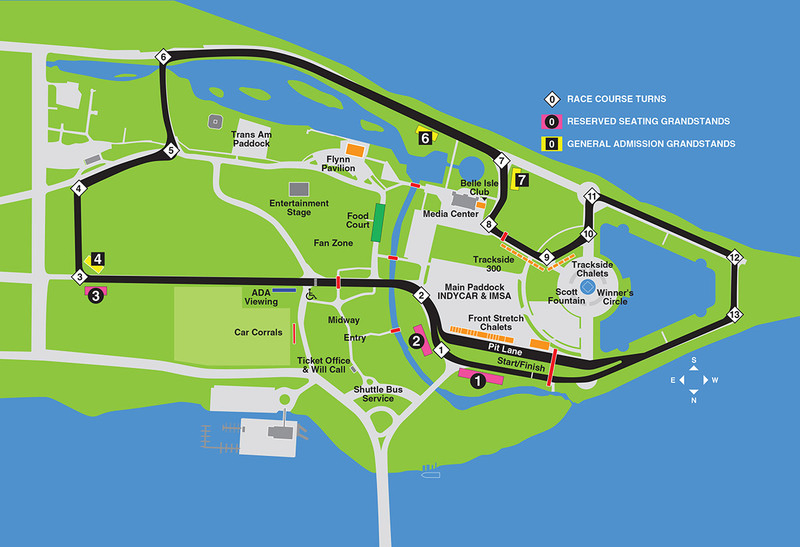 Likewise, updates from the entirety of the Chevrolet Detroit Grand Prix presented by Lear can be found at http://www.detroitgp.com, on Facebook at www.facebook.com/detroitgp and on Twitter at @DetroitGP. Trans Am's races at the Chevrolet Detroit Grand Prix presented by Lear will be broadcast, tape delayed, on CBS Sports Network.